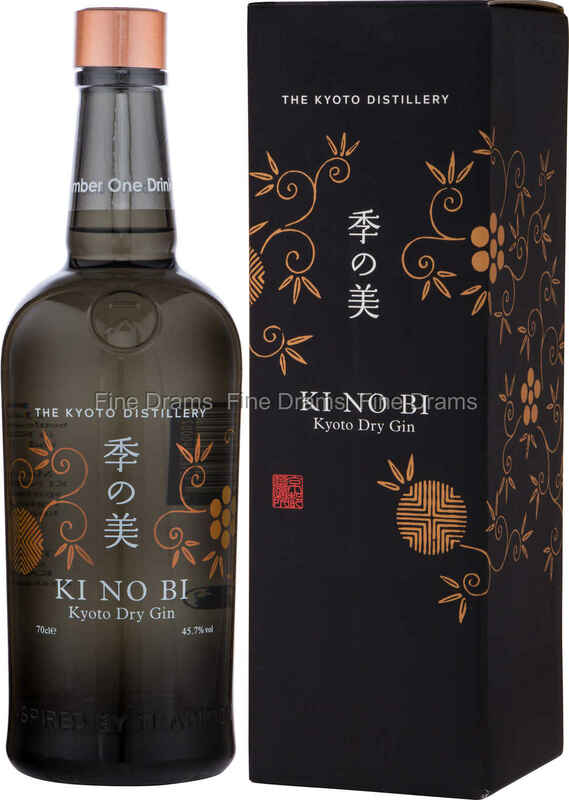 KI NO BI, meaning “beauty of the seasons”, is a Japanese gin made in Kyoto. Its list of botanicals features some distinctly Japanese parts, such as bamboo, yellow yuzu, hinoki wood chips, gyokuro tea and green sanshō (Japanese peppercorn) berries. This gin is the result of 6 separate distillations. With each distillation, they have distilled one of their 6 categories of botanicals. The 6 categories are: base, tea, citrus, herbal, floral, and spice.